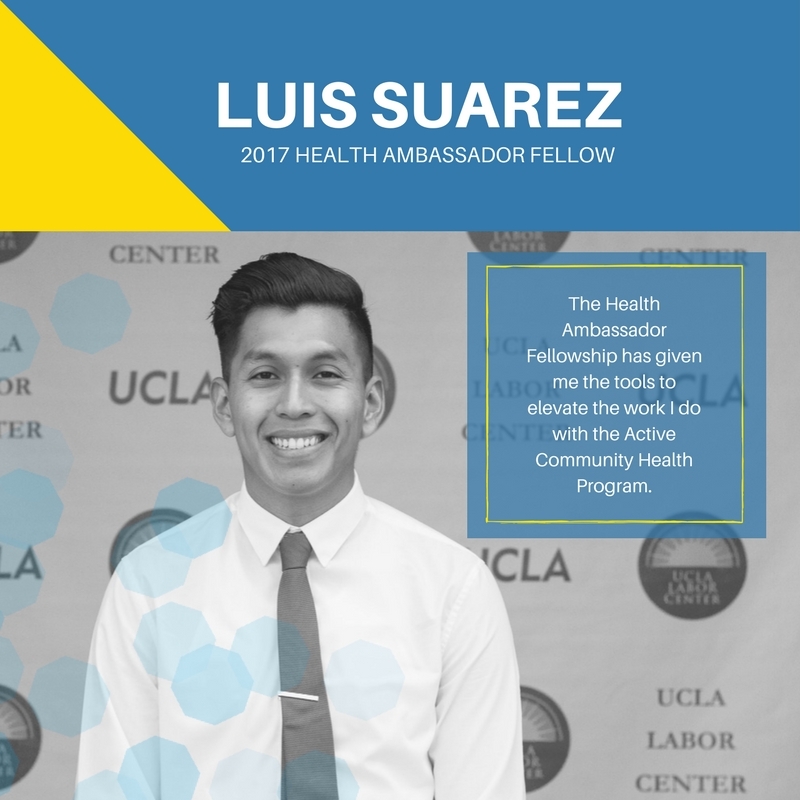 Luis Suarez is a Health Ambassador Fellow, is based in the Inland Empire where he’s currently working for the Inland Coalition For Immigrant Justice. He’s work involves educating immigrant and undocumented communities on health programs and accessibility to health services. He’s leading the efforts for the Our Voices, Our Health Immigrant Wellness Tour, in San Bernardino. Luis immigrated with his parents to the United States at the age of 8-year-old from Jalisco, Mexico. He’s first generation college graduate student, and received a bachelor’s degree in Kinesiology from California State University Los Angeles. He plans to continue his education to obtain a Master’s in Public Health. He Identifies as undocumented and queer person, he is interested in the intersectionality and the issues affecting both the LGBTQ and undocumented communities. Luis’ goal is to provide individuals with the tools to reach an optimal state of wellness to prevent that health disparities that are predominant in communities of color. I was through one of the local organizations, the Inland Empire Immigrant Youth Collective. I decided to apply because I wanted to do immigrant rights advocacy work, but also, the fellowship would give me the opportunity to focus on health work. Progress is slow, but incremental changes can be significant to the overall goal which is to make a positive impact in the community. The support provided by the team has been instrumental to my success as a fellow. The Health Ambassador Fellowship has given me the tools to elevate the work I do with the Active Community Health Program, a class I facilitate where I educated community members on health prevention. What inspires you and why is working with the community important to you? My family and I have been there, we know how it is to not have access to heath care. This is why this type of work is crucial and I care deeply about helping others. The women in my family inspire me, my mom, grandma and my three sisters. For instance, my grandma is one to take initiative, and dives in to solve problems. My mom has carried this along, and I’ve seen both my mom and grandmother, regardless of their situation, they always help others. To go ahead and take initiative and be as involved with your organization as possible. Learn all you can on health advocacy, communications, and campaign strategizing.